Saltburn-By-The-Sea is a quirky and enchanting seaside town, according to Freya North. This is what it tells us in the tourist information brochure anyway. My own experience is that they know how to be generous hosts. My 2010 short film, Like Nobody's Watching was accepted into the shorts section of the town's 5th Annual Film Festival. I had missed a screening at the South Yorkshire Filmmaker's Network section of the Sensoria festival in Sheffield so I was eager to attend this event and I'm very glad that I did. Sorry it's taken so long to get round to reporting on it! 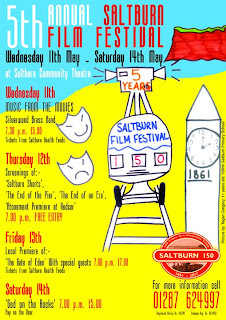 Saltburn, celebrating its 150th Anniversary this year, can be found a few miles north of Whitby in what is now Teesside. When I arrived, with the Mrs and one of my cast in tow, I was surprised to see a red carpet outside the entrance to the community centre where the fest was taking place. A charming, arts and craftsy former methodist chapel, we were greeted at the door and made to feel very welcome. The main auditorium didn't disappoint either. Packed with film-lovers, it had been converted for theatre shows years before and now suited the exhibition of films very well. The red carpet turned out to be for the Mayor of Redcar who came to present the prizes for the shorts competition. We watched some entertaining shorts in competition for a jury award and an audience award. I voted for my own film (of course!) but it didn't make the top three. My pick for the winner was a Spanish produced film called Manos which played with the theme of break up and sexuality through the conceit of carefully choreographed lovers' hands. Brilliantly edited, it had a superb score and rightly won the audience award on the night. The jury award went to a Rob Speranza produced short, Into The Woods, which I thought had a great atmosphere and an interesting point to make about outsiders. The Yorkshire connection turned out to have a great deal of significance as the evening went on. We were entertained by some films about the town and the area while we waited for the results of the competition and it was here that discussion about the town revealed that it used to be part of Yorkshire. I picked up an undercurrent of feeling that Saltburn ought still to be a Yorkshire town! 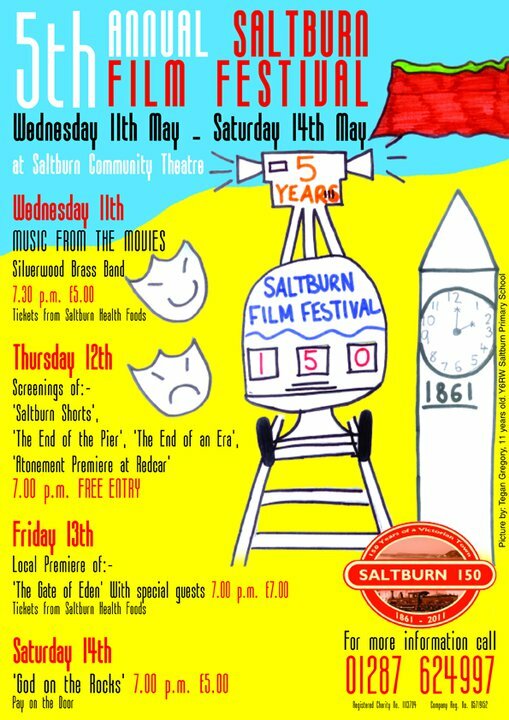 My favourite film of the evening was The End of the Pier, a short doc on Saltburn in the 70s. There was a strong audience reaction to this film as the locals recalled the town as it used to look. 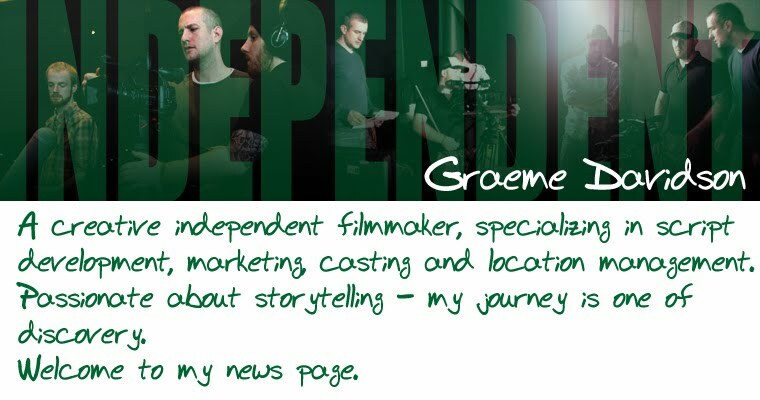 My thanks go to Wilma Gardiner-Gill who organised the festival and showed all the filmmakers who turned up the greatest respect and warmest regard. Certainly it was the best screening experience I have had so far and, as a footnote, one member of the audience had the kindness to come up to me at the end to tell me I was not alone in voting for my film at the audience award. She made me feel very special with her eloquent praise for my work. A very rewarding experience.